It has been documented widely that the endocannabinoid signaling plays a fundamental role in many human health and disease processes of the central nervous system. This has opened an avenue for researchers to exploit the potential of endocannabinoid or ECS-oriented treatments for the management of neurodegenerative, psychiatric and neuroinflammatory disorders. We will give you a breif summary of studies showing how cannabidiol (CBD), a cannabinoid that is derived from the cannabis plant, interacts with the body to counteract autism through the ECS system. Autism spectrum disorder (ASD) is a complicated behavioral condition that manifests during early childhood and lasts a lifetime for the majority of cases since it has no known cure. In the last three decades, scientists have been busy studying the main components of the recently discovered endocannabinoid (ECS) system. This is a rather intricate collection of lipid signals called endocannabinoids, their target receptors, metabolic enzymes and purported transporters. Autism belongs to a wider group of ailments known as pervasive neurodevelopmental disorders that are caused by a combination of both genetic and environmental factors. Autism was first described and named 60 years ago. According to the Center for Disease Control and Prevention (CDC), approximately 1 in every 68 children suffers from some form of autism in the U.S alone. This represents a tenfold increase in the diagnosis of the condition over just four decades, and these numbers seem to be rising. Furthermore, boys are 4-5 times more likely to develop the condition compared to girls. The disease is characterized by conspicuous cognitive and emotional isolation and detachment. Autistic children display; an inability to form human relationships, abnormal or absent speech, repetitive and stereotypic verbal and non-verbal behaviors, as well as a limited range of interests and activities. Up until now, no behavioral, genetic, electrophysiological or brain imaging test can specifically validate a clinical diagnosis of autism. Furthermore, this disorder has no defined mechanisms of pathogenesis, which makes it very difficult to provide curative therapy. Nonetheless, the aforementioned procedures are often utilized to test for any syndromic forms of the illness. The available treatments for autism can be grouped into: nutritional, behavioral and medical approaches. There is no defined standard approach for treating autism. Autism is a devastating and so far, an incurable disease. The available pharmaceutical products have such limited efficacy and come with some serious side-effects. As a result, physicians and patients alike have been actively seeking out alternative therapies. One of the best candidates so far is cannabidiol (CBD), a non-psychotropic compound derived from the Cannabis plant that has proven to contain a wide range of therapeutic effects. Here are some of the tests scientists have done with regards to the use of CBD for autism therapy. According to Autism-Society.org, ASD has no single known cause for its emergence. As a general understanding, its accepted that ASD might be caused via brain structure or function abnormalities. This acceptance came about by scanning the brains of children with ASD and comparing them with the brains of children who do not have ASD. Even though there is no known cause, research is being performed to determine the precise cause of ASD. Some theories under investigation involve heredity, genetics and medical problems. Most families appear to have a pattern of ASD, thus giving some credibility to a potential genetic origin. Other studies are looking at clusters of genes that might be unstable and cause interference with normal brain development. Even more research is going on into looking at issues during pregnancy and delivery, as well as environmental concerns (viral, imbalances, and chemical exposures). As mentioned, physicians try to control autism using various approaches such as behavior modification therapies and special diets alongside antipsychotic medication. However, there is no one true cure for autism, this situation that has pushed patients to look for other alternatives. In the same breath, researchers have been busy trying to look for new approaches to treat this serious condition. As it stands, cannabidiol (CBD), a compound derived from Cannabis, has shown great potential in tackling the symptoms associated with autism by influencing the endocannabinoid system in various ways. This can be demonstrated by one study which investigated the involvement of the endocannabinoid system in peripheral blood mononuclear cells (PBMCs) from children with autism in comparison to age-matched, normal, healthy developing controls. It is known that autistic children manifest immune system dysregulation and show an altered immune response of PBMCs. The results showed that mRNA level for cannabinoid receptor type 2 (CB2) was significantly higher in the autistic children compared to the healthy subjects. CB1 and fatty acid amide hydrolase mRNA levels remained unchanged. Lastly, the CB-2 protein levels were also significantly higher in autistic children. This data signifies that the CB2 receptor, which is heavily influenced by cannabidiol, is a potential therapeutic target for the development of novel agents for managing autism. By conducting studies in rodents, scientists have found that neuroligin-3, a protein that is mutated in some patients with autism, plays a role in relaying endocannabinoid signals that moderate communication between neurons. Neuroligins are postsynaptic cell-adhesion molecules that interact with presynaptic neurexins. Rare mutations in neuroligins and neurexins increase the occurrence of autism. These mutations include neuroligin-3 amino acid substitution (R451C) and a neuroligin-3 deletion. In one study, researchers introduced different autism-associated mutations in neuroligin-3 proteins into mice models. The results demonstrated that signaling was blocked and the overall excitability of the brain was changed. These findings uncovered an unexpected link between neuroligin-3 protein and the endocannabinoid signaling system that had not been previously thought to be particularly important in the pathogenesis of autism. 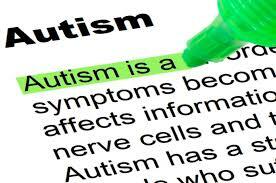 More importantly, the results indicate that targeting components of the endocannabinoid signaling system may present new potential treatment strategies for autism. Another study sought to find out the involvement of the endocannabinoid system in the pathogenesis of fragile X syndrome (FXS) using Fmr1 knockout mice as subjects. FXS is the most common monogenic cause of inherited intellectual disability and autism. This condition is caused by the silencing of the FMR1 gene, which leads to the loss of fragile X mental retardation protein (FMRP). First, the authors appreciated that the endocannabinoid system (ECS) is a key modulator of synaptic plasticity, nociception, seizure susceptibility cognitive performance, and anxiety, all of which are affected in FXS. The cannabinoid receptors CB1 (CB1R) and CB2 (CB2R) are activated by phospholipid-derived endocannabinoids such as 2-Ag, but can also be affected by phyto-cannabinoids derived from plants, such as CBD. This study established that genetic and pharmacological blockade of CB1 receptors in male Fmr1 knockout (Fmr1(-/y)) mice through pharmacological and genetic approaches normalized cognitive impairment, nociceptive desensitization, susceptibility to audiogenic seizures, overactivated mTOR signaling and altered spine morphology. On the other hand, pharmacological blockade of CB2 receptors normalized anxiolytic-like behavior. The researchers were able to reverse some of these traits by pharmacological inhibition of mammalian target of rapamycin (mTOR) or metabotropic glutamate receptor 5 (mGluR5). In a nutshell, the scientists were able to prove that blockade of the endocannabinoid system is a potential therapeutic approach to control specific alterations in FXS and hence help in the management of autism. Inflammation in the brain during early-life has been shown to exert profound consequences on brain development and behavior. These include altered emotional behavior, stress responsivity and neurochemical receptor expression and function. As such, some researchers sought out to examine the impact of inflammation, induced by the bacterial compound lipopolysaccharide (LPS) on postnatal day (P) 14, on social behavior during adolescence. They also investigated the involvement of the endocannabinoid system in sociability after early-life LPS using Sprague Dawley rats as subjects. The results indicated that P14 LPS decreases adolescent social behavior in males and females at P40. This behavioral change is characterized by decreased CB1 binding, increased anandamide levels and increased FAAH activity. They also noted that oral administration of the FAAH inhibitor PF-04457845 (1mg/kg) normalizes LPS-induced changes in social behavior, while not affecting social behavior in the control group. Furthermore, infusion of 10ng PF-04457845 into the basolateral amygdala regulated social behavior in LPS injected females. The data from this study suggest that alterations in ECS signaling after postnatal inflammation contribute to deficiencies in social behavior during adolescence. Moreover, they established that inhibition of the fatty acid amide hydrolase (FAAH) enzyme, which metabolizes the endocannabinoid anandamide, could be a novel target for disorders involving social deficits such autism or other social anxiety disorders. Cannabidiol, a natural phyto-cannabinoid has been shown to influence the ECS system towards the same effects, and this study sheds some light on its possible mechanisms of action. For the parents of autistic children they know the true burden that comes along with this illness, and it’s a heavy. A child’s inability to communicate their feelings, impulsiveness as well as destructive and self-destructive behavior can take a toll on any parent or caregiver, leading to both physical and emotional exhaustion. As a result, if a more effective therapeutic alternative can be found, it would come as great news to millions of patients suffering from this condition. As shown from the evidence above, cannabidiol for autism treatment is a viable potential agent that should be investigated more thoroughly to establish its efficacy.